Municipal Waste Incinerator System: Municipal Waste is having Very Large List of waste Contents Including Food Waste, Plastics, Glass, Metal, Stones, Agro Waste, Cotton Waste, Liquid, Solid, Semi Solid, and more. Normally it is Generated in Each City and in a Very huge Quantity. Very Very Large Incinerators are Required for Such type of Waste Incineration. Sometimes, It is designed with Multiple Chambers Incinerator which is known as Multi Combustion Chambers, Multi Unit Single Chimney Incinerators. For which, Multiple Primary and Secondary Chambers Connected with Scrubber and Duct with Chimney. This type of Large Incinerator also required Fully Automatic Waste Feeding System with Conveyor Belts. The Automated System the Waste in Chambers and Can Incinerate large Quantity of Waste. Aesthetic Design : Designed To Please Aesthetic Appeals.Small Foot Print : Less Than A Single Car Park For A 250 kg Unit That Caters To 500 + Apartments/houses.Big Foot Print : A Single Car Park one on the other For A 250 kg above Unit That Caters To 1000 + Apartments/houses.Reduced Labor Cost : Part Time Labor Requirement Reduces Ongoing Costs.Safe Handling : No Pathogens Due To Operations In High Temperature Thereby Reducing Health Risks Significantly.Reduced Recycle Time : Waste To Output Duration Is 1-3 Days Vis-a-vis Traditional Composting Methods that Require About 2 To 3 Months.Reduced Transport Costs : In-situ Processing Eliminates Transport Costs.Hassle Free Operation : No Multi-step Process. Provide the Input, Plug & Play.No Recurring Costs: No Refurbishing Of Bio-catalysts And Saw Dust. 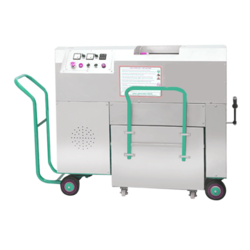 Our Machines Are Provisioned With It.Rodent Proof : Designed To Keep Rodents At Bay.Non-odourous : Cleanest With Negligible Odour.Long Term Solution : 25-30 Years Lifespan.Maintenance/Support : Warranties And Amcs To Ensure 24×7, 365 Days Of Uninterrupted Operation. 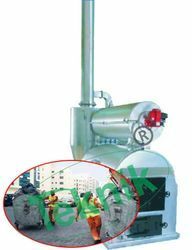 We are offering wide range of Waste Incinerator for Municipality Waste. Looking for Waste Incinerator for Municipality Waste ?